An insider's guide to cheap travel, staying in touch, and tipping. For starters, make sure to check your bill at the end of a meal, as many restaurants have begun automatically tacking on an “optional” 10-15% tip to the bill. Most travellers arrive to London via one of the city's four major airports, but London's equally well connected to the world by rail, bus, and car. The channel tunnel in particular has made travel to England from continental Europe a breeze. All public transportation in London falls under the umbrella of Transport for London (TFL), which organizes everything from the Underground to buses across the city. The Underground (Tube) is the most convenient way to get around London. Despite being a member of the EU, the United Kingdom has kept its own currency for the foreseeable future – the Pound Sterling (GBP). The pound is used across the UK, and while Scotland and Northern Ireland print a different-looking currency than the Bank of England, all types of Pound Sterling notes are generally accepted in London’s shops. Festivals in London – The city’s best annual festivals and special events. Culture in London – Palaces, museums, and cathedrals galore. History of London – Understanding the history of England’s capital. 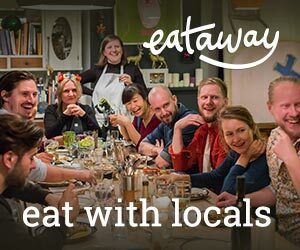 Authentic Eats in London – Essential eats for foodie travellers. Royal London – Buckingham Palace and beyond. The heart of London’s entertainment is the West End, where some of the best theatres, shops, and restaurants can be found. Covent Garden is as good a place to start as any, and it’s a popular tourist attraction for good reason. This lovely Italian-style piazza is home to many charming shops, performing buskers, the Royal Opera House, and what is supposedly the largest Apple store in the world. Heading west along the many narrow streets exiting Covent Garden, such as King St, will take you directly to Leicester Square. This busy square is home to several cinemas and many star-studded movie premieres take place at the theatres here. Just north on parallel Gerrard Street you’ll find the main drag of London’s Chinatown. Heading even further north across Shaftesbury Avenue will take you into the heart of Soho, home to the city’s best alternative and gay nightlife, quirky music and fashion stores, and delicious eateries. Soho ends when you’ll reach Oxford Street, London’s most popular shopping destination. You won’t find much out of the ordinary here, but there are several flagship stores for some of the biggest clothes brands such as H&M, Zara, and Top Shop. Heading further west along Oxford Street will take you to popular department stores like Selfridges, John Lewis, and House of Fraser. For a picturesque route back to our walking tour, swing a left at Regent’s Street, a lovely wide boulevard and buzzing shopping destination. Heading further west away from Regent’s Street will take you to the ritzy shopping of Bond Street, and shops like Fortum & Masons as well as the Burlington Arcade. Following south down Regent’s Street however, will take you to one of London’s most recognizable and photogenic locations – Piccadilly Circus. There’s not much to do here, but those iconic flashing billboards and double decker buses won’t photograph themselves! Heading south from Piccadilly Circus down Haymarket will take you to Trafalgar Square, where Nelson’s Column and its bronze lions guard the National Portrait Gallery, St. Martin-in-the-Fields church, and the wonderful National Gallery. Leaving Trafalgar Square via The Mall will take you through St. James Park and to Buckingham Palace, but this time we’ll walk down Whitehall. This splendid street is home to loads of interesting historic sites, from the Horse Guards, Churchill’s War Rooms, the remaining sections of the grand Palace of Whitehall (such as the Banqueting House), and, of course, the gate which leads towards 10 Downing Street – the home and working place of the Prime Minister. 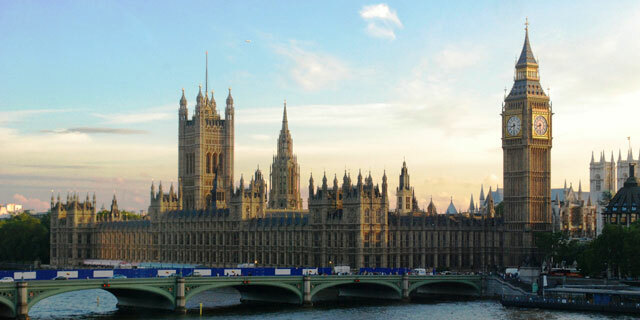 Eventually, you will end up at Parliament Square, which boasts several iconic London buildings, such as Westminster Abbey and the Houses of Parliament. For an even better view of the Houses of Parliament (and Big Ben! ), hang a left at Parliament Square and cross the Thames via Westminster Bridge. This will also take you towards the London Aquarium and the London Eye. Still got some energy to spare? Continue east along the south bank of the Thames, and you’ll eventually reach the Southbank Centre, the National Theatre, the imposing Tate Modern museum, and Shakespeare’s Globe Theatre. Right next door is foodie mecca Borough Market – and after all this walking, you’ll surely need a bite to recoup your energy. Still not tired? The nearby Millennium Footbridge will link you directly to the City, home to St. Paul’s Cathedral, the Tower of London, and more! Fortnum & Mason Richard: Pricey but amazing tea! Freud Mark: Best bar in London! Old Blue Last Brien: Cool place.... Christopher's Keith G: Always a great option close to the theaters. We've dined there several times with pleasure.